More than half a million Ukrainian nationals have traveled towards Europe taking advantage of the visa-free deal of Ukraine with the EU, since June 11, 2017, when the European Union and the European Council representatives approved the request of Ukraine for visa-free travel. The Ukrainian State Border Guard Service has registered 555,000 Ukrainians who have used their right to enter Schengen visa-free within the past year. The highest number of Ukrainians that entered the EU was within the first months after the launch of visa free regime, when around 80 thousand Ukrainians per month crossed the border. However, in November the number fell to 32,500. According to the Border Guard, most of Ukrainians travel by air and least by see, while Poland is the first EU country that Ukrainians enter. 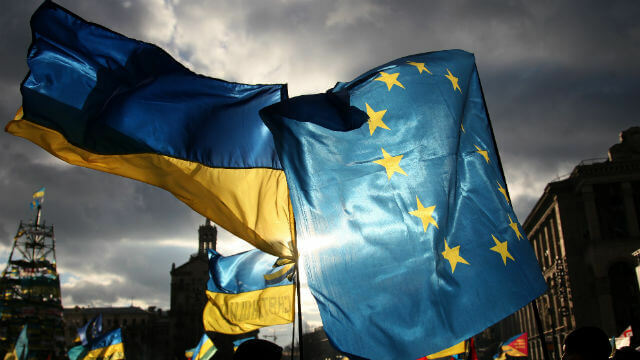 Ukraine might have moved a step closer to the EU after it got visa liberalization. However, the past year has not been without troubles for the government of the Ukrainian PM Volodymyr Groysman, since according to political analysts the country almost lost visa liberalization at one point. In December 2017 analysts claimed that after the unprecedented attack of Ukraine’s law enforcement agencies against the National Anti-|corruption Bureau, considered to be the only independent investigative body in Ukraine. Within the same month, the European Commission took concrete actions in this regard, putting forward six demands for Ukraine to fulfill. “Changes in Ukraine have been noticed and appreciated in the world. This is evidenced by the launch of visa-free regime, which has been used by almost 500,000 citizens. Do not listen to those who try to prophesy the suspension of the visa-free regime. They are the same fortune tellers who told us we would never have it,” Poroshenko wrote on Twitter back in April. On Monday, the First Deputy Head of the State Border Guard Service of Ukraine Vasyl Servatiuk said that the European Union does not intend to revise the terms of the visa-free regime with Ukraine. “On June 1, the Ukrainian government delegation reported to the European Commission on the implementation of the EU-Ukraine Association Agreement… there are currently no threats from Ukrainian citizens and travelers who use Ukrainian territory as a transit country. Therefore, there are no real threats to even a talk about reviewing the conditions of the visa-free regime,” he told the media. Ukraine’s neighboring country Poland, has criticized the European Union for removing visa requirements for Ukrainian citizens, claiming that the move might negatively affect its economy. Its authorities fear that less Ukrainians will be coming to Poland to work and fill the labor gaps, instead choosing other more economically developed EU countries. Poland has a very low rate of unemployment, which fell to record lows in December, thanks to solid economic growth. Still, this hasn’t been all positive for Poland, since now the country is facing shortage of workers on the labor market. As a result, the country relies on employers from Ukraine and Belarus. And so far it has issued 1.3 million temporary work registrations to Ukrainians s and around 120 thousand extra long-term work permits. Now Warsaw fears that the nationals of their neighbor country will choose the EU countries instead though the visa-free regime with EU does not permit them to work in any of the Member States, and the economy of the eastern European country on the Baltic Sea might collapse. The European Union has established an electronic system called ETIAS, which is a visa waiver pre-screening program for non-EU visitors wishing to enter this area, similar to the ESTA that the United States use. All nationals of the countries that benefit from visa-free regime with the EU, aside of the Schengen Area Member States, will be subject to the European Travel Information and Authorization System. Currently, the nationals of 62 non-Schengen area countries are allowed to enter the EU without a visa, for up to 90 days within a 180-day period, including Ukraine. Ukrainians, alongside the others, will have to apply for an ETIAS prior to their travel towards Schengen, in order to be allowed to enter the territory, starting January 1, 2021.